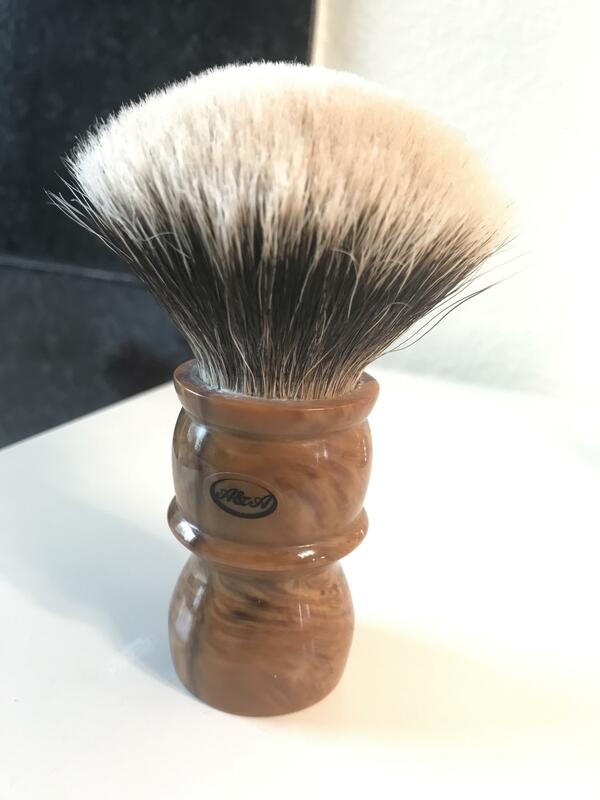 Up for sale today is a fantastic brush that I got from the BST almost a year ago. It is a Wiborg knot in a briar M7 type handle from a spanish artisan, A&A. The knot measures in around 27 x 47 mm. 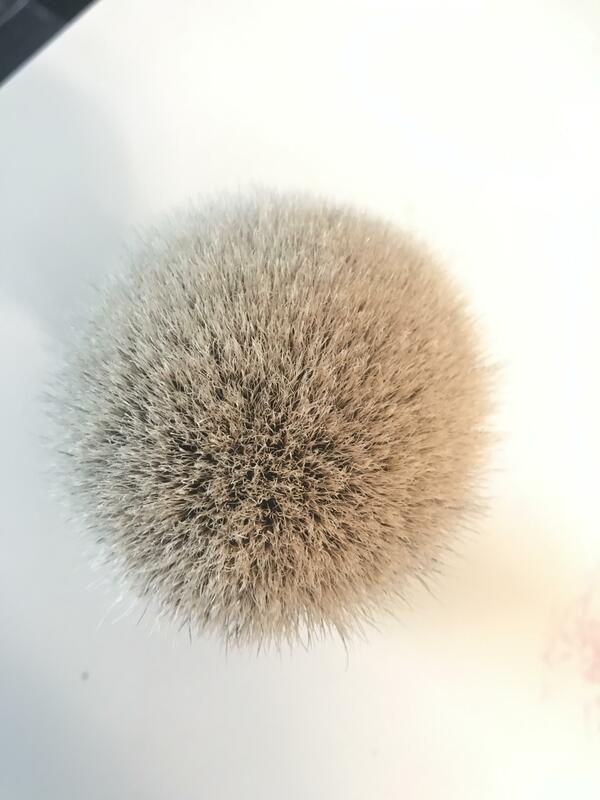 Knot is soft and dense with a touch of scrub. Splay and lather release are excellent. There is some glue showing above the opening, but other than that this brush is immaculate. Just not getting the love it deserves so I'm passing it on. 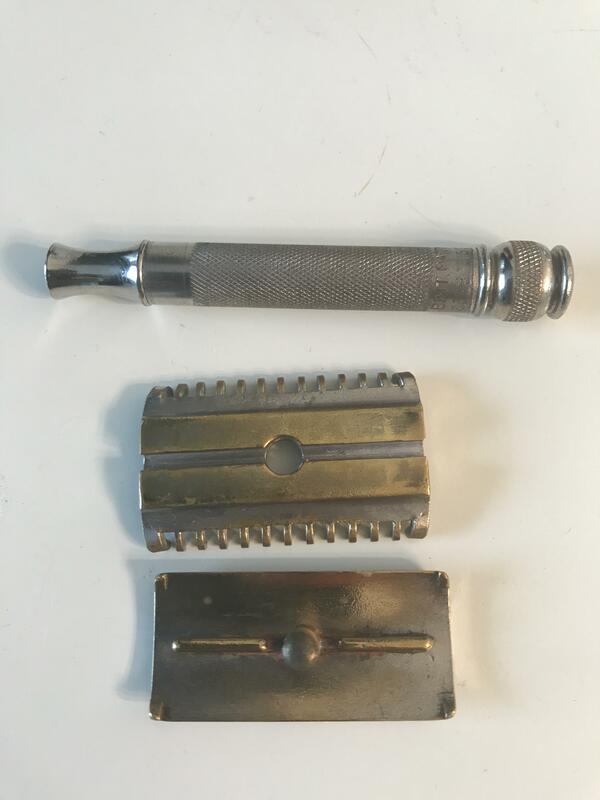 Also included is a user grade Gillette RFB. 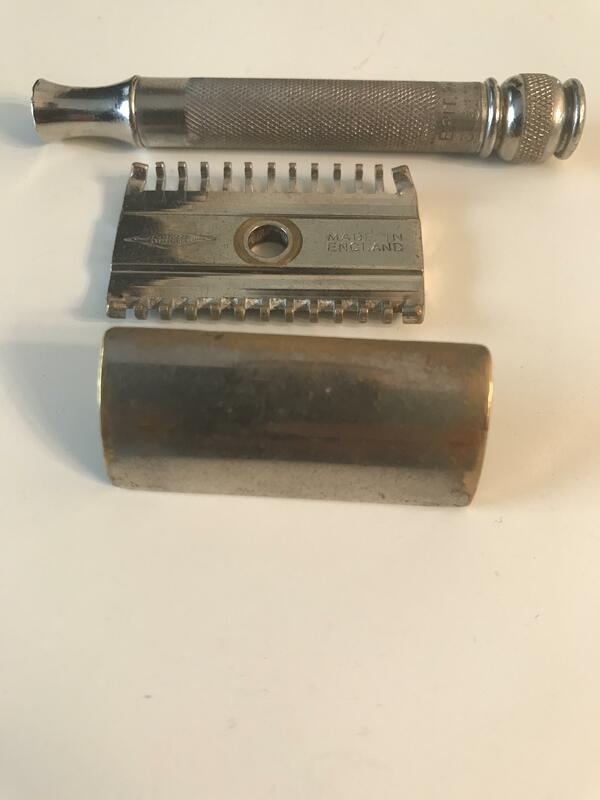 Some brassing on the head and the four corner teeth are bent, but I've shaved with it and it does not affect the shave. Asking $175 shipped CONUS for this lot. Please PM me if interested. 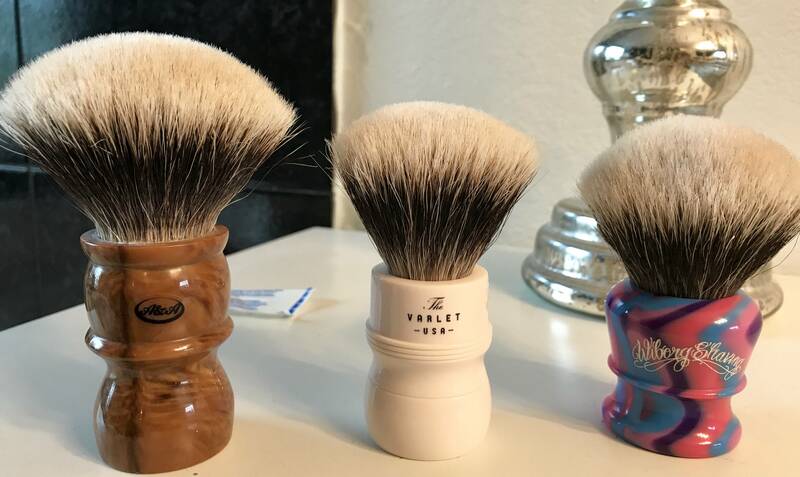 I've received a few PMs about it so I figure I'd post that the purple haze brush is not for sale. I included the picture to give a sense of scale.